The organisation behind a website labelled by farming groups as an “attack map” for animal rights activists will face fines of more than $400,000 if it breaches the Privacy Act. The Federal Government has taken special action in a bid to rein in mounting anger in the farming community about recent “farm invasions” by vegans and animal rights protesters. Attorney-General Christian Porter said on Friday the activities of Aussie Farms Inc – the not-for-profit group behind the website – created an unacceptable risk to hardworking farming communities and producers. For this reason, the organisation would now be listed under the Privacy Act. 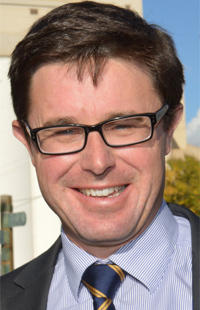 Agriculture Minister and Member for Maranoa David Littleproud said he had repeatedly asked Aussie Farms to take the website down before someone was hurt or worse, but the group behind the website had flatly refused. Mr Littleproud, who has called the protesters “un-Australian”, also called on State Governments to beef up trespass laws to provide “real penalties” for trespass, and to publicly state they expected the police to uphold these laws. The Australian Information and Privacy Commissioner had previously found that Aussie Farms Inc was exempt from the Privacy Act because its annual turnover was less than $3 million. The move to prescribe Aussie Farms Inc as an “organisation” under the Privacy Act means the group must act in accordance with the Act, regardless of its annual turnover. The Information and Privacy Commissioner can now investigate, either in response to a complaint or on its own initiative, if Aussie Farms Inc breaches the Privacy Act. The prescription comes into force on Saturday (April 6). The move against Aussie Farms Inc follows mounting concern in rural and regional areas about a “National Day of Action” by animal activist groups allegedly planned for Monday (April 8). Police believe the day has been scheduled to mark the first anniversary of the release of the film, “Dominion”, which includes footage recorded by hidden cameras and drones inside farms across Australia. “Dominion” is being advertised strongly on the Aussie Farms website. Police are on stand-by – including a Public Safety Response Team – to react if protesters target properties. Farmers have also been provided with information about what they should do if protesters turn up on their properties. AgForce cattle president Will Wilson said many of the farms being targeted by activists were run by families, not faceless corporations. He said he respected animal groups’ right to protest, but that they had no right to break the law and threaten farmers and their families in order to express their opinion. “Peaceful protest is one thing, but trespassing on to someone else’s property, frightening children and animals, breaching biosecurity measures that are there to protect everyone – this is illegal activity. The LNP Opposition has accused the State Government of “turning a blind eye to illegal property invasions and the intimidation of farmers and their employees”. 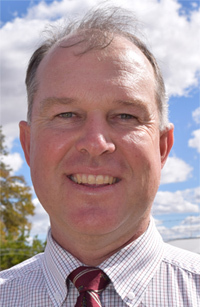 Shadow Agriculture Minister Tony Perrett said it was an “absolute disgrace” that 120 protesters were able to enter a Millmerran feedlot last week “without any repercussions from the State at all”. “Agriculture Minister Mark Furner is giving these extremists the green light to trespass on farms and abuse farmers,” he said. “Biosecurity Queensland has not issued a single infringement notice in the last four years. Shadow Police Trevor Watts called the response by Police Minister Mark Ryan to the Millmerran incident as “pathetic”. “It is clear that the lawless actions of these extreme groups at the Darling Downs feedlot needs to be investigated as a matter of priority,” Mr Watts said. Opposition Leader and Member for Nanango Deb Frecklington welcomed Friday’s announcement by the Federal Government. “I welcome Minister Littleproud’s announcement which will crack down on animal extremists who illegally use personal information to attack our hard-working farmers,” Ms Frecklington said. Tension has been rising between animal rights groups and farmers over recent months. There have been several incidents across Australia, including the mass protest at the Lemontree Feedlot near Millmerran on March 23. Earlier in March, an animal rights supporter who removed an ear tag from a goat stolen from a farm during a protest in December was fined $1 in a Victorian Magistrates Court for breaking biosecurity laws. And in February, a West Australian dairy farmer was filmed during a verbal dispute with vegan protesters on his property. Video released by the protesters included vision of the farmer firing a shotgun away in the distance. However, he has denied he was shooting to scare off the group. Please explain, Ross Trevor, what are you “just saying”? Surely you are not insinuating that the LNP and farmers are, in fact, orchestrating these vile extremist terrorist activities for their own benefit, are you Ross? Blimey, I hope not as no self-respecting group with any common sense would entertain that thought! These acts are nothing but extreme terrorism and should be dealt with as such, but alas it will not be at all as our left-leaning governments have gone real soft on rural crime as well as some magistrates, that is an indisputable fact. Some little while ago down south there was a properly set up business called a “Goat Cafe”. The general public could go there and intermingle with the animals which would of no doubt given very much pleasure to the kids, both human and animal which was helping to close the gap [gee I like that phrase] between city and rural which is desperately needed these days. The extreme ratbag group turned up and worked their terrorism to the extreme which caused the business to eventually close which also caused the loss of half a dozen much-needed jobs in that rural area. Some of the terrorists were charged and the court result was a $1.00 fine on each individual charged. What a farce that is. It gives very little confidence to farmers doing the right, proper and legal thing, wouldn’t you think Ross! Now, as well as the obvious terror and disruption caused to the farmers and their families and staff and the terror caused to the animals who have had a lot of work put in to keep them calm and contented, there is another aspect not being pushed hard enough and that is BIO-SECURITY.This alone should bring very lengthy gaol time!! The Labor Minister held a media interview explaining Qld Labor’s intent to firm up laws surrounding trespass on farming properties, as well as setting up a taskforce specifically to monitor these grubby groups entering farms to gain attention. Minister Furner explained that Labor does NOT support or defend them and has clear issues over unlawful intent and biosecurity breaches/contamination. On the same day, the Opposition wants to know why charges aren’t laid after the entry and chaining of themselves to machinery at an abattoir near Warwick. Even the “green shirts” had put up the reason on social media: the owner agreed to negotiations and did NOT press charges. Instead of playing petty politics, Labor has tried to include the LNP Leader/Minister, to go above politics for agriculture, but the LNP refused and continued the “us and them” mantras of anti-Labor rhetoric. Labor are ensuring the law amendments are done right not just kneejerked or rushed. The LNP, refusing bi-partisanship and not calling for calm to avoid emotive reactions, reflects their intent to manipulate for traction politically, especially near an election. Again, well done to those farming and agricultural businesses that have remained cool and collected, follow advice from authorities, contacted the Qld Police Service ASAP and hit “record” for evidence as needed. State NO permission granted, and request charges from the police. Qld LNP, astoundingly, going down the partisan path. Hey Ben, I saw Mark’s statement and I must say that I was extremely impressed with his take on this very troubling issue. He went on very well on the biosecurity issue, in fact his whole talk was most impressive and I thought then that this guy should be premier and treasurer rolled in to one, much better than what we have now. He was GOOD and would be good for regional productive Queensland. He sure talked the talk but alas because of the ideological constraints of Labor I feel he will not be allowed to walk the walk. I’m now having dinner and reading the newspaper and lo and behold the Courier has headlined on its second page “Heavy fines rushed in to combat animal activists”, stating heavy fines will be $500 to $600. Woopty-de-do. How pathetic is this? Similar to being caught 15 or so over the speed limit whilst being on the phone! Is it any wonder the LNP wouldn’t engage in bi-partisanship knowing full well what would be likely to happen. No matter how silly they are. they cannot be that stupid. Again, I reiterate that left-leaning governments are generally very soft on crime. A recent example was at the Murgon-Cherbourg crime meeting where mention was made of 7, 8 or 9-year-olds out and about at 2am or 3am. The police response was that they were not committing a crime and were not obviously “in danger” and nothing could be legally done. Golly, did that cause some serious comment from the Indigenous ladies. These ladies are brilliant and very well spoken and really, they should be running the place. One stated most emphatically that kids that age should at 9pm be home in bed. We can’t blame the police for this as it is symptom of weak laws by a weak government. That night other instances of poor laws were mentioned. The ladies really did well!! The PM has finally grown some and has fired up, good to see. This whole criminal terrorist behaviour has to be stopped. Jail time with a permanent criminal record would bring an instant stop. A record means no visa, no travel, that would stuff them, good and proper.